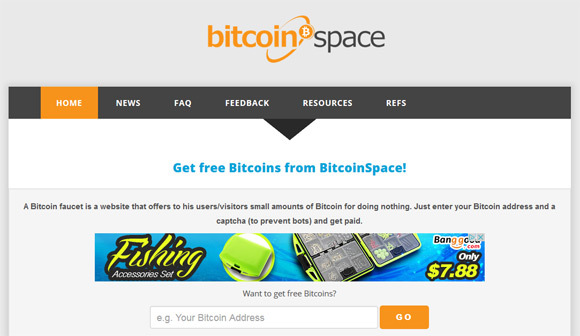 The Bitcoin Space Faucet is a standard Bitcoin faucet service that gives out to visitors 500 satoshis to 10000 satoshi, depending on your luck, every 60 minutes. The faucet pays out directly to your Bitcoin wallet address, but you need to collect a total balance of at least 100100 satoshi which is a bit steep minimum for a Bitcoin faucet and can take a bit of a time. There is also 15% extra bonus for inviting your friends to start using the service, the additional referral bonus is extra for you while your friends still get their full reward on each claim. This can help you reach the minimum withdraw limit faster than by only claiming by yourself.